is a freelance lighting designer based in New York City. He brings a theatrical eye, unique passion for visual storytelling, and complete dedication to every project he is a part of. Jake has collaborated with theaters, companies, directors, designers, and artists all over the US and the world. Notable collaborations include work with clients such as Blue Man Group, Les Freres Corbusier, Time Magazine, Montblanc, and Norwegian Cruise Lines as well as lighting and production companies such as DBR, LLC., Scharff Weisberg, Focus Lighting, BML Blackbird, See Factor, Number Nine, Gray Matter Visual, and A.C.T. Lighting. Jake works primarily as a Lighting Designer for live theatre, along with work in architectural lighting, television lighting, and specials events lighting. He also works as an Assistant and Associate Designer internationally, regionally, Off-Broadway, and on Broadway for industry-leading designers including Jeff Croiter, Justin Townsend, Kevin Adams, Peter Kaczorowski, Rui Rita, Hugh Vanstone, David Weiner, and Scott Zielinski. When not designing, Jake works as a programmer and is fluent on most modern lighting consoles. He is also highly skilled in a wide range of entertainment industry technologies and software including 2D/3D drafting, rendering, 3D Pre-Visualization, audio and video editing, and media content development and playback. In fact, he even offers private training sessions for industry professionals looking to brush up on these tools. Outside of the theatre, Jake dabbles in photography (having shot most of the photos you’ll see here) and web design (having designed the site you’ll see them on). 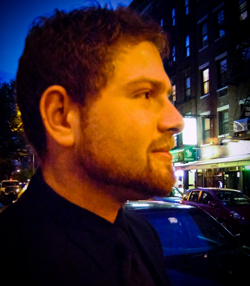 Jake is an Associated Artist with Theatre C, a NY-based theatre company focused on creating vibrant theatre through the unexpected fusion of disparate art forms.